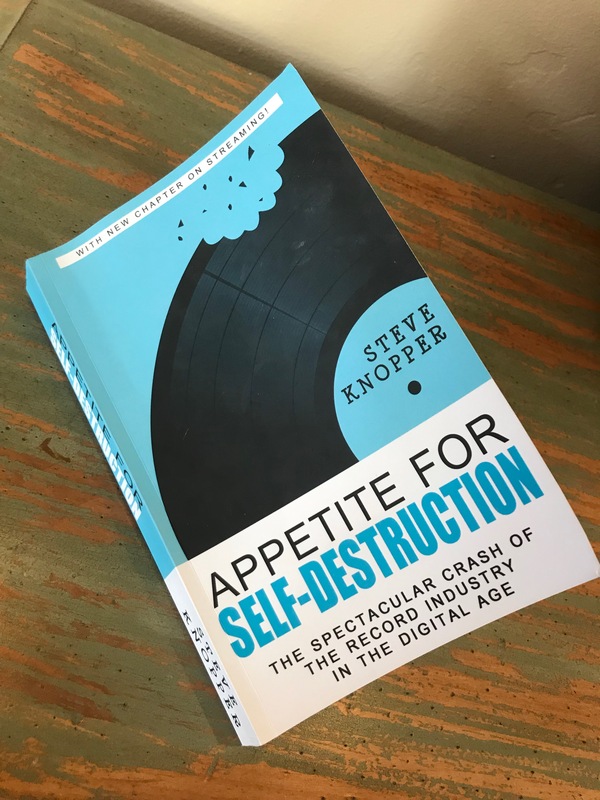 Written by Rolling Stone writer Steve Knopper, the book was initially published in 2009 and then updated in 2017 with a new chapter about streaming services including Spotify, Apple Music, and Tidal. It’s amazing how much changed in those eight years as a large number of people decided that they no longer cared about having a music collection. Instead, their focus was having access to the music they wanted to listen to whenever they wanted to listen to it. The death of disco turned into the death of record labels in the 1970s. In 1982, the music business found a savior in Michael Jackson. When MTV wouldn’t play Michael Jackson videos because of his race, music executive Walter Yetnikoff called the channel and threatened to pull Columbia Records’ business is they didn’t air the “Billie Jean” video by the end of the day. The rest is history. Thirty-three-year-old former CBS news radio executive John Lack came up with the idea for MTV and John Sykes, who had been working for Epic Records, was responsible for the extremely successful promotional ideas. 1983 – CDs earned $17.2 million for the US record industry. “Suddenly, everybody had to go in and buy a whole new record collection,” said Howie Klein, head of Warner Music-owned Reprise Records in the 1980s and 1990s. The boom of CDs changed the music business from “small-time guys who packed their products into crates themselves to an international network of distribution executives with MBAs.” The large amount of cash flow and profits even led to Wall Street interest. From 1984 to 2000, CDs made the record industry a ton of money as sales reached 942 million. During the Mariah Carey/Tommy Mottola era at Sony, Carey’s CDs sold 55 million copies in the United States alone making her in the top 20 of all-time selling artists. From 1997 to 2001 teen pop (specifically the Backstreet Boys, Britney Spears, and ’NSync) sold more records than the Eagles, Michael Jackson, or the Rolling Stones. At the time, there was no cheap single format so people had to buy the whole album even if they just wanted to hear one song. Then came Napster. In the meantime, big box stores were stealing record store business and accounted for more than 65 percent of all CDs sold in the US. “I hit a point where I was convinced that there was no next big thing in the music business except technology. It was going to be a sound or a dropped D chord or a new way of looking or a style – it was going to be technology,” said Liz Brooks, a longtime A&R rep who worked for Virgin and Sony before becoming Napster’s VP of Marketing. Corporate lawyer Hank Barry pointed out that Napster was “the first spectacular social networking company.” But as of February 2001, Napster officially became illegal and declared bankruptcy on May 14, 2002. On April 28, 2003, the iTunes Music Store opens with a catalog of 200,000 songs available for 99 cents each. In 2003’s fourth quarter, iPods were responsible for about seven percent of Apple’s $1.7 billion in revenue – a total of $121 million overall. “The iPod changed everything – music, fashion, electronics, computers, the internet,” said Tony Fadell, Senior VP of the iPod division of Apple from 2006 to 2008. By February 2006, the iTunes store sold its one billionth download and digital sales skyrocketed from 19.2 million in 2003 to 844.2 million in 2007. By early 2007, Apple controlled 70 percent of the digital music market through the iTunes store. Daniel Ek, a 23-year-old Swedish millionaire, came up with the idea of Spotify and presented it at the end of 2006. In 2009, Ek told Knopper that “the only thing that’s going to win again piracy, in the long term, is you create a better service.” Turns out, he was right. Overall, Rob Wells of Universal sums up the shift in the music business best: “You have to throw away everything you’ve ever known about the music industry…consumers are no longer paying for the right to listen to something tangible like a CD. These new models are payment for what’s coming out of the speakers.” He’s right as well. Although vinyl has made a surprising comeback, and listening to records on an actual record player is a frequent occurrence in our household, there is no substitute for the ease and mobility of digital music. Over the past five years of being on the air, I’ve played every single radio show from iTunes on my computer because it’s the easiest, most advanced, and most approachable way to do it. While I miss the old days of slinging CDs at Spec’s Music stores in Miami, I understand that there is no going back. Digital music is here to stay and the record industry’s crash is another lesson to be filed under “the only constant is change.” The good news for us and the next generation is that the power of music hasn’t changed and I don’t think it ever will.